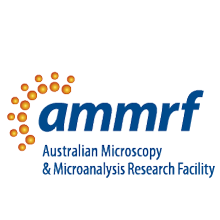 The Board of the AMMRF has announced the departure of Prof. Simon Ringer from the role of Executive Director & Chief Executive Officer and that Dr Miles Apperley has succeeded him effective 8 June 2015. 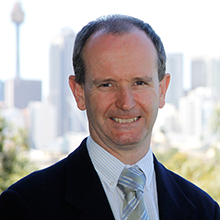 Prof. Ringer has left to focus on new strategic research at the University of Sydney. Miles has been the AMMRF’s Chief Operating Officer and has over 25 years experience in industry-based research and development, university and industry commercial partnerships, and operations and management of national collaborative research infrastructure. He has been with the AMMRF since its inception in 2007. Miles has a doctorate in materials science and a first–class honors degree in metallurgical engineering. 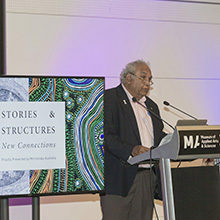 “Simon recognised the power of a collaborative framework for research infrastructure and worked tirelessly to make the AMMRF a hugely successful facility. It is now an example of best practice in management, governance and user experience in a shared research infrastructure facility, catering to over 3,000 users each year.�? “In succeeding Simon, Miles brings his extensive knowledge and experience of AMMRF operations, combined with a clear vision for the future of our facility. The AMMRF’s succession planning has positioned it well as the facility transitions from establishment to sustainability and to future growth. The board is unanimous in its support for Miles’ appointment.�? Dr Apperley said today, “I am delighted to take on this strategically important role and to have the opportunity to steer the AMMRF towards a strong future with the prospect of renewed investment. I am grateful to the Board for their support and confidence.�? Prof. Ringer, on leaving the AMMRF said that he has been privileged to have worked with such a dedicated and committed team of people to bring the facility to the strong position it is in today. “I am delighted to see the strength of this organization. The skills, passion, and commitment of the new team are deeply impressive. I will follow its future achievements with great interest.�? Dr Apperley will be focused on the future, with the AMMRF well positioned to take advantage of developing technologies and the possibility of a more sustainable program for future Australian research infrastructure. 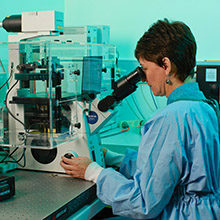 The AMMRF will continue to provide world-class service in research services, programs and training with its global research training tools primed for further development. Aligned with the Commonwealth government’s Competitiveness Agenda, and support for Industry engagement, the AMMRF’s delivery of end user outcomes and international connectivity will continue to be its most important priorities. Dr Apperley’s career has centred on research and innovation collaborations, particularly with university and industry partners conducting programs with strong, measureable research outcomes, impact and benefit. His leadership and research management skills have been developed within industry and higher-education organisations including user-focussed collaborative research infrastructure. He is excellent at developing and implementing strategy and measuring its effectiveness as well as managing stakeholder relationships and intellectual property. He has developed strong networks with Commonwealth and State Government departments and agencies and has demonstrated high-level management, leadership, administration, organisational and negotiating skills, all complimented by excellent communication. Dr Apperley is a Justice of the Peace in NSW, a graduate of the Australian Institute of Company Directors (GAICD) and a member of the Australasian Industrial Research Group. After a completing an industry based PhD project in The Fabrication of High Temperature Superconductor Wire at the University of New South Wales, Dr Apperley worked for 12 years in senior technology development roles with Metal Manufactures Ltd, primarily in the power cable industry. During this time he was responsible for the specification, design, construction and operation of a 400 m2 pilot plant making high-temperature superconductor wire and products. He achieved the first international commercial sales of their product and developed the company’s overall commercialisation strategy and patent portfolio. Dr Apperley then took on business development and commercial partnership roles for the University of Sydney and the Nanostructural Analysis Network Organisation Major National Research Facility (NANO-MNRF), the predecessor to the AMMRF, which operated from 2002 to 2007. Some of his key achievements were in the areas of strategic leadership support, growing the industry project portfolio and income, forming and operating Nano Analysts Pty Ltd and developing business plans for the company. Since July 2007 Dr Apperley has been the Chief Operating Officer of the Australian Microscopy and Microanalysis Research Facility (AMMRF), providing leadership and management to enable best-practice operation and managing a project budget of approximately $80M. This includes an additional ~$9M of funding, which he secured to enable the operation of the AMMRF from 2012 to 2014. He has established and maintained active relationships with Commonwealth Government and the NSW State Government in relation to NCRIS and CRIS funding, and negotiated and executed a range of funding, collaborative, procurement and commercial agreements.